Thailand is a beautiful country that you must visit at least once in your lifetime. 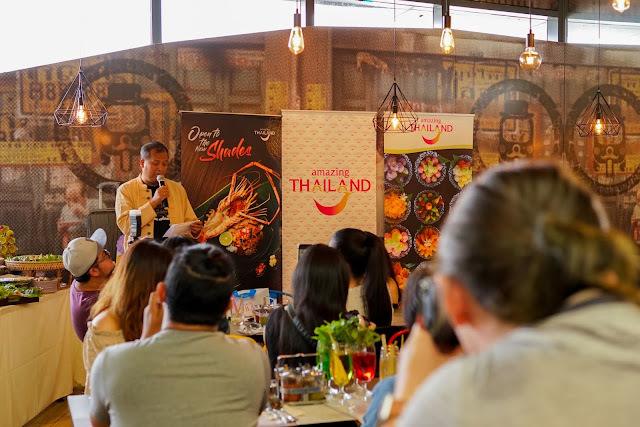 This year the Tourism Authority of Thailand, Malaysia (TAT) unveils its “EAT THAI, VISIT THAILAND 2019” campaign, to mark a collaboration between tourism and restaurants in Malaysia. This is in line with the Amazing Thailand’s “Open to the New Shades” campaign, focusing on five main travel sectors to help international visitors experience the Kingdom from a new perspective. The concept includes Gastronomy, Arts and Crafts, Thai Culture, Nature, and Thai Way of Life. As part of the collaboration, Mr Tuk Tuk introduced new dishes and drinks on their menu, be sure to try out the refreshing Thai Ice Lemongrass tea with crispy water chestnut pearls, Fried Tofu with Basil Leaves, Thai Seafood Otak-Otak, Thai Fresh Oyster with Lime Sauce, Thai Prawn Salad with Lemon grass and Thai Pumpkin Custard. Thai street food is very popular among Malaysians, and Mr. Tuk Tuk offers consumers quality and delicious Thai dishes that are Halal certified. They proved to be delicious and authentically tasty, and there are many such Halal restaurants in Thailand. 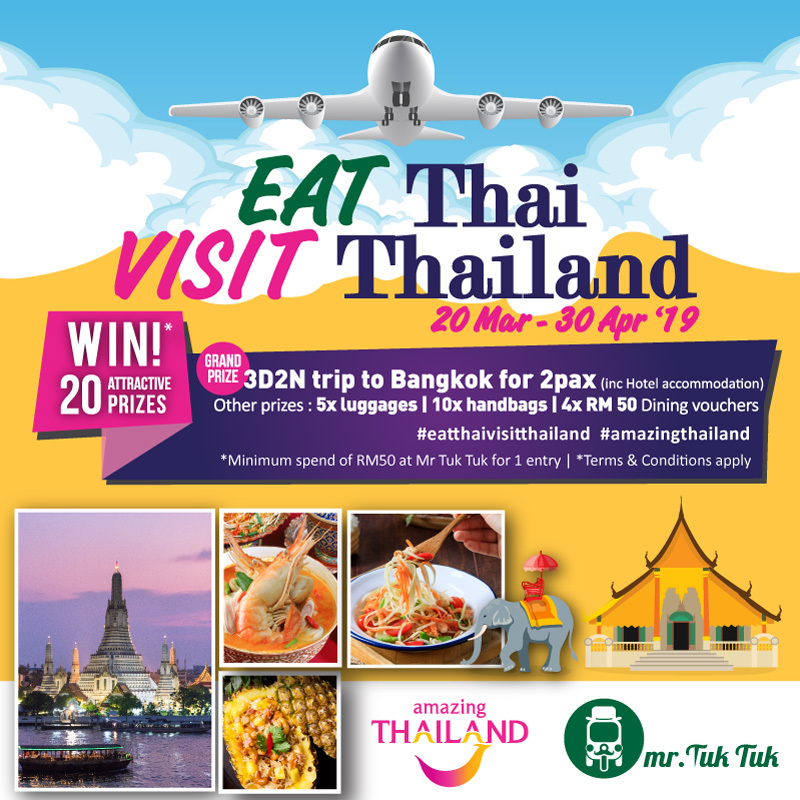 During the campaign period which begins on 20th March till 30th April 2019, diners who spend more than RM50 per receipt at any of the eight Mr Tuk Tuk outlets will stand a chance to win one of the 20 prizes which include a FREE trip to Bangkok for two persons plus a 3 days 2 nights hotel stay, five luggage, ten handbags and four Mr. Tuk Tuk dining vouchers. 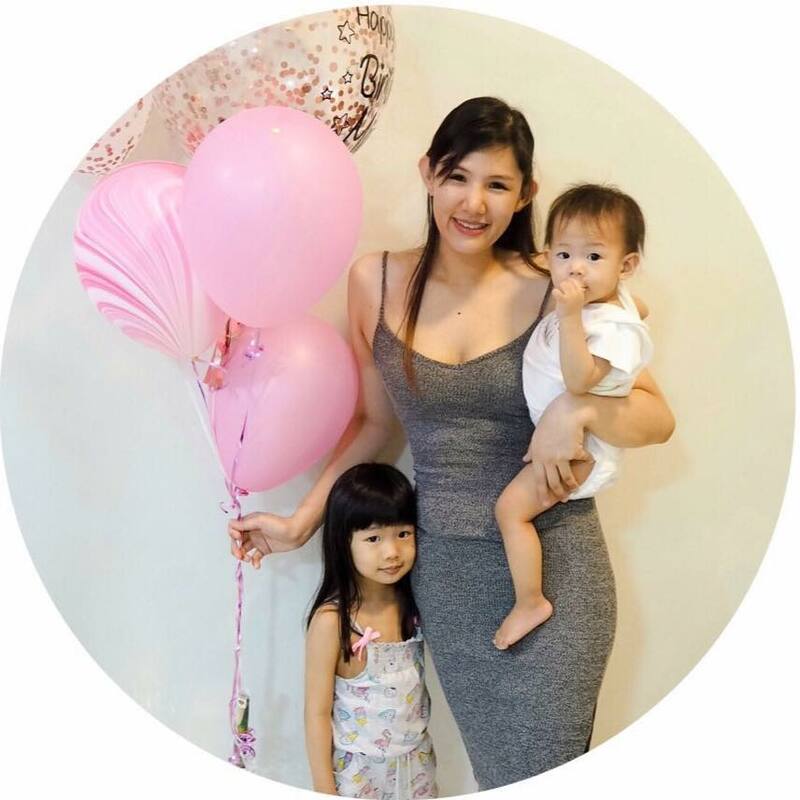 Mr. Ahman Mad-Adam, Director of TAT, Kuala Lumpur office said: “Thai food is more than a cuisine, it is a lifelong passion. It is a love affair with deep roots in the country's culture and most importantly, in the family. We believe it is the same in Malaysia, where people love to eat and the food bond people together. 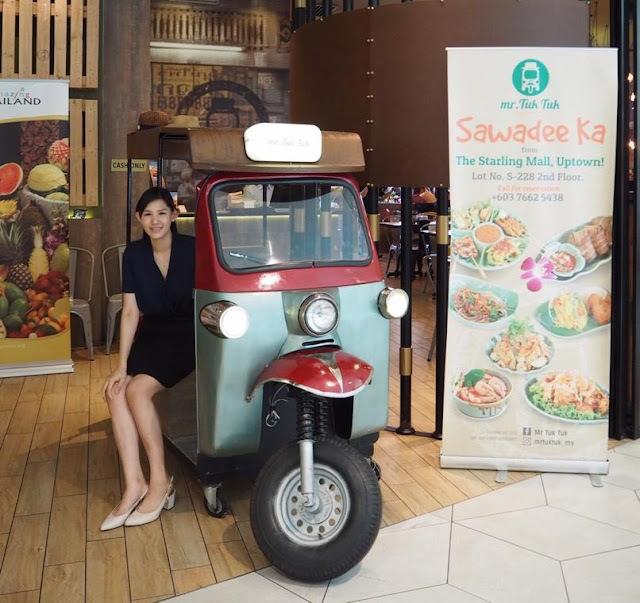 Many Malaysian tourists travel to Thailand with the objective to taste Thai food. This year we have the new 2019 edition of MICHELIN Guide, which reaches to Phuket and Phang-nga. 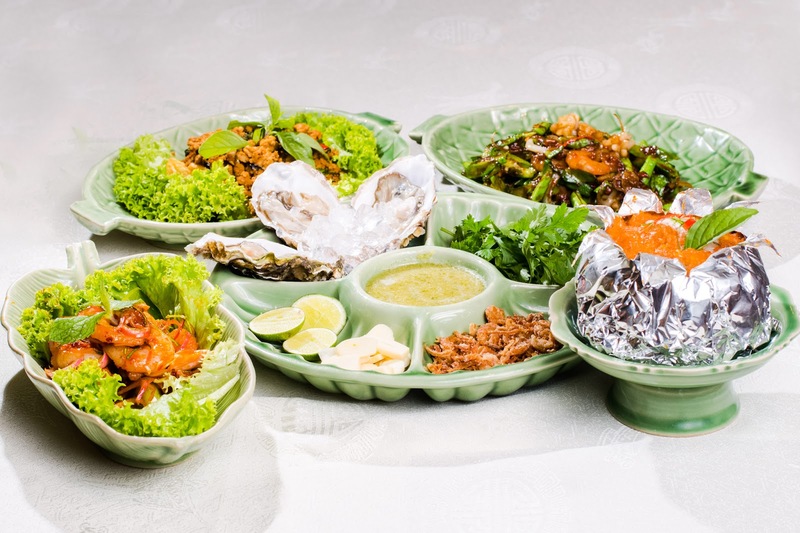 This proves that Thailand has a wide variety of food for everyone, from MICHELIN Star restaurants, street food, HALAL food to fine-dining and many more.